Robyns Simple Life: Store Bought Vs. Fresh, Heat, Speed and More..
Store Bought Vs. Fresh, Heat, Speed and More..
Good Morning to all my wonderful blog readers.. If you read my post from yesterday I talked about store bought eggs VS. Farm Fresh Eggs and how store bought eggs looks sickly compared to fresh eggs. Well this morning I decided to take a picture to show you the difference for those who have never seen the difference.. There is a major difference in taste too but unfortunately I can't show you that.. 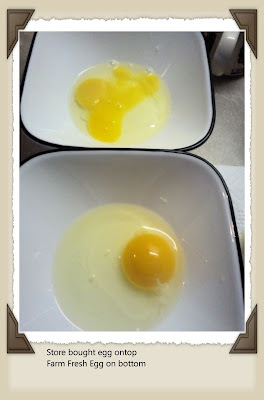 If you can tell the top egg is from the store and the bottom from our chickens.. 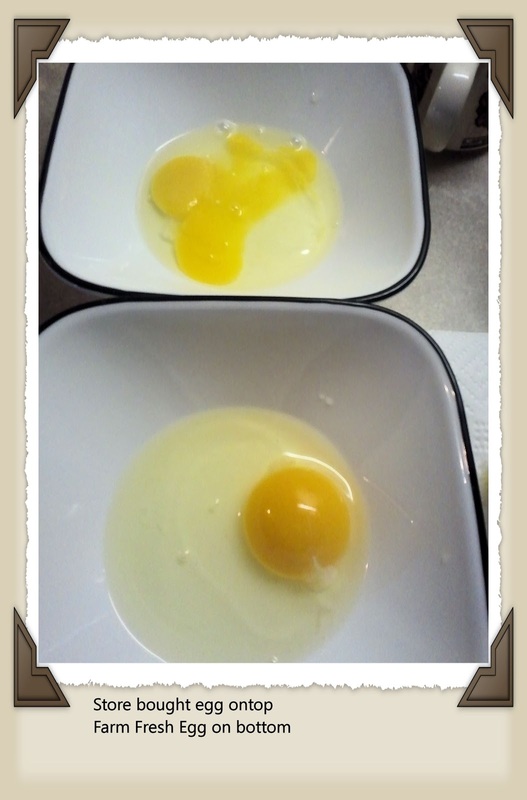 The store bought egg has a light almost radiated yellow color to the yolk and the clear part which becomes the white is very dull and thin..
Now look at the bottom photo. Thats an egg from one of our chickens. You don't get any fresher than that..Notice the color of the yolk. It's a deep yellowish orange and look at the clear how thick it is... Hopefully now you understand why I say eating store bought eggs is something I try at all costs NOT to do.. While I was taking photos of the eggs I thought, I don't do that often so don't get excited. why not show you some of our girls and their protector Hank who I think is absolutely beautiful. Meet Hank our beautiful Rooster and lord protector of the girls and their pen.. He does a very good job at his duties I might add. 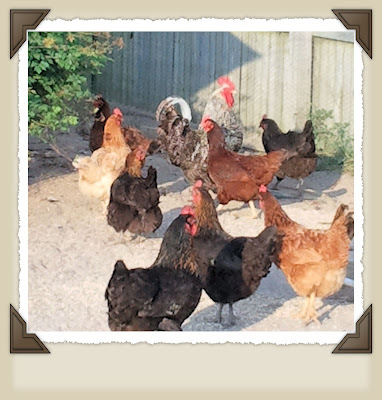 And here are some of our girls who very nicely and dutifully keep us in fresh eggs. 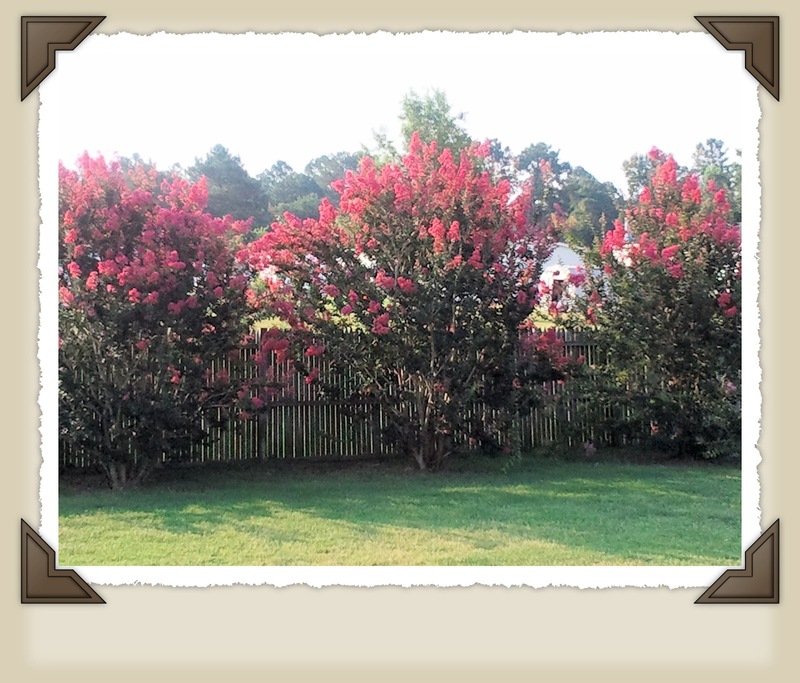 While I was outside I took a look at our Myrtle Trees and they are in full beautiful bloom again despite the heat. I am happy to report that I think Lizzy is feeling better. In my last post I told you she had bronchitis and had a horrific hacking cough that had both me an Mr L. extremely worried. 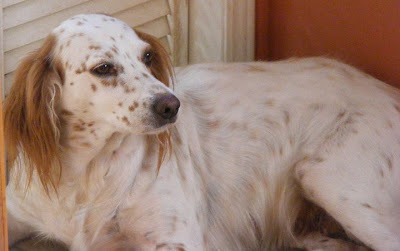 This morning is the first morning in almost a week that she hasn't coughed once, so the medication seems to be working!.. 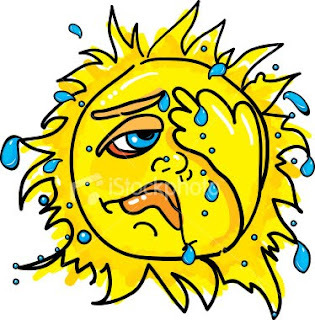 Its going to be another triple digit weekend here in South Carolina with heat indexes of 110 due to humidity so unfortunately another weekend in the house.. Today I will spend the day working around the house trying to clean up the paper clutter that never seems to end. I've put in a small load of laundry. I've been doing smaller loads to try and keep ontop of it.. Mr L. is off to COSTCO this morning to pick up our monthly bulk supplies like paper towel, toilet paper etc..
Oh wow, your eggs are amazing! 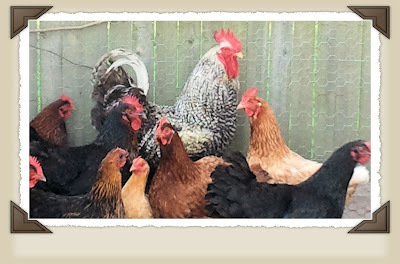 How I wish I could have chickens. I love fresh, flavorful eggs! Happy to hear Lizzy is doing better. She is a sweetie! 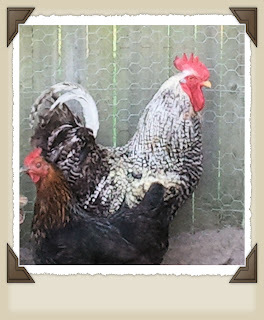 Love your chickens and Hank :) My daughter had chickens for about a year and we loved getting eggs from her. She just couldn't keep up with their care and gave them to a friend.